Planning a vacation to the African continent and not planning for safari rides will surely make you miss it badly. Although, there may be several options available when it comes to choosing the right safari package as the travel itinerary, the one that suits budget, as well as personal requirements, will be a perfect choice. Vacation to this bewildering continent and availing safari adventures there can vary from person to person. 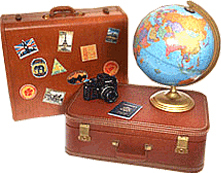 Travelers can make custom variations to their packages that can include the choice of the region, duration of their stay in that region and any kind of specific attraction, which they long to see in that region. The question of why one must go for such thrilling adventures in some of the magnificent countries of scintillating Africa is the fact that they are known for their wild vegetations and that not every soul surviving on the Earth does get a chance to explore and admire it. Travel agents Kenya will make it happen for those keen on experiencing the hidden charisma of such regions. Travelers, who love to add Kenya as their Safari destination is the fact should keep a track of few things, while planning a travel to the magnificent country. Firstly, Kenya is a country where travelers can have a feel of all sorts of wild animals at one place; and but ofcourse, who can forget the great migration of Wildbeasts in the month of June every year, when the rush of the wild flora and fauna is the maximum. One can locate Zebra, Lions, Hyenas and sense their sounds and smells even if they are hidden in the lush green shrubs and bushes. Besides taking safari rides in Kenya, tourists can add certain other activities to the list of itinerary items that might include or comprises of Hot Air Balloon Safaris through which travelers can view scenic beauty of the Kenyan plains from several different angles. Not only does the scenic treasures of plains are attractive, but also gives a spectacular view of the wild vegetations nested in their natural habitats. As for those, who are not interested in the availing lion or balloon safaris, they can also choose to go for bird watching safaris, which proves to be an excellent option against tiger or lion safaris. Tanzania, an African country bordered by Kenya and Uganda has a lot more to explore than can anyone think of. Known as the home of the Serengeti Wildlife Reserve and the country for the migrating wildebeest, safari rides in Tanzania will showcase large herds of Zebra along with some of the breeding Genus. Besides, wandering and exploring wild vegetation in Tanzania, do not forget to visit the Ngorongoro Crater, a geological formation created by a mass volcanic eruption. The view is simply a spectacular one. However, experiencing the height of the biggest mountain peak in Africa, Mount. Kilimanjaro can swerve off your senses completely. 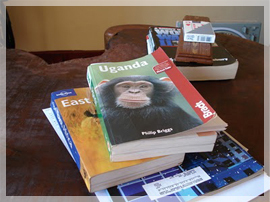 Uganda is known to have the maximum mountain gorilla population across the entire globe. Thus, planning a trip to this country can also prove to be a great deal for adventure and wildlife lovers. The county offers gorilla safari tours as well as mountain safari tours for tourists who haven't experienced such things ever in the course of their life. While in Uganda, the land known for if apes, a trip to Lake Mburo National Park is a must call. The place habitats several species of buffaloes, Zebras, Impala and Hippos etc among others. However, if, still all this proves to be expensive, the tour operators functioning in Uganda can design budget-friendly safari packages to provide travelers ultimate pleasure time experiencing adventures, while their stay in Uganda. Travel Agents Kenya will be at your disposal.